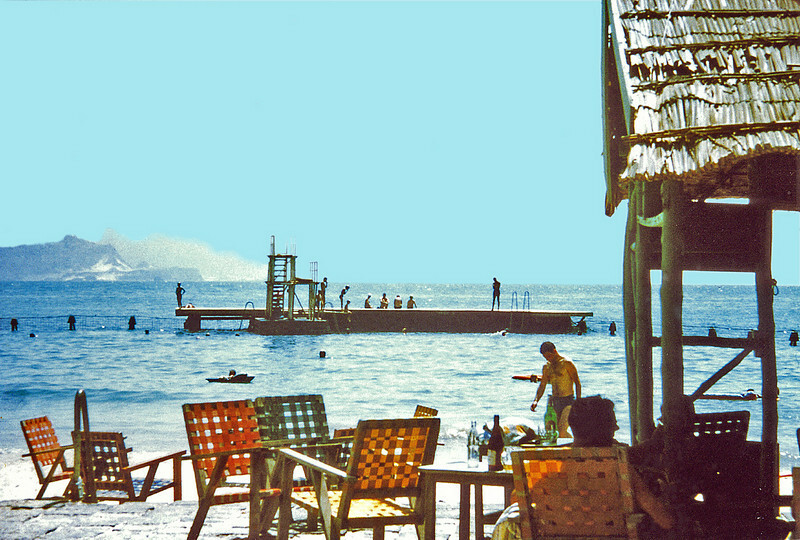 South Arabia, Aden (1960s) - Gold Mohur Bathing Club. Note diving platform (at high tide) and shark nets. Mountain in distance is Little Aden. This photo looks very familiar to me. My father was posted there from 1958-1960 and I remember going to school in the morning and swimming in the afternoons. Great times and great memories even though I was only 6 years old.